Inspired by his “boots on the ground” work through UMass Clean Energy Corps, Kevin Calantone (’17 of Randolph, New Jersey) is now planning a career in building construction technology, one in which he intends to put his energy education to work. 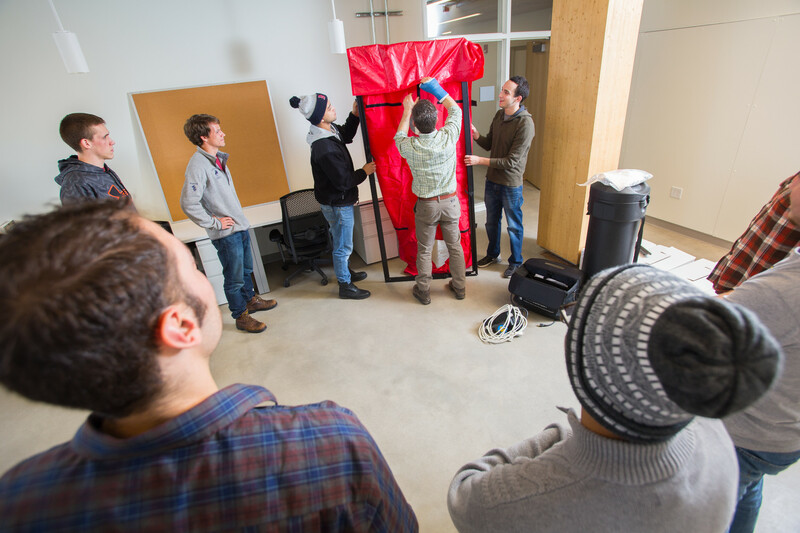 Calantone completed course work in the UMass Building Construction Technology program and interned with the Clean Energy Extension where he now serves as lead student of the Clean Energy Corps. Kevin has turned his course knowledge and internship experience into practical energy consultation as he provides energy analysis to towns throughout western Massachusetts. 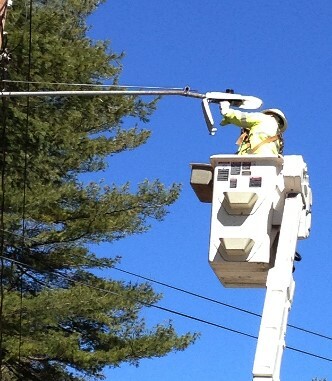 He says, “I am a big fan of the energy program at UMass Amherst. By having the chance to work directly with municipal leaders, I incorporated my course work and increased my knowledge of energy-efficiency and renewable energy. The professional experience and expertise in how to conduct myself in meetings will give me a foot up when I graduate. “My newfound communication and writing skills will be put to the test when I help as a Teaching Assistant with Professor Weil’s new spring course,” Calantone continued. 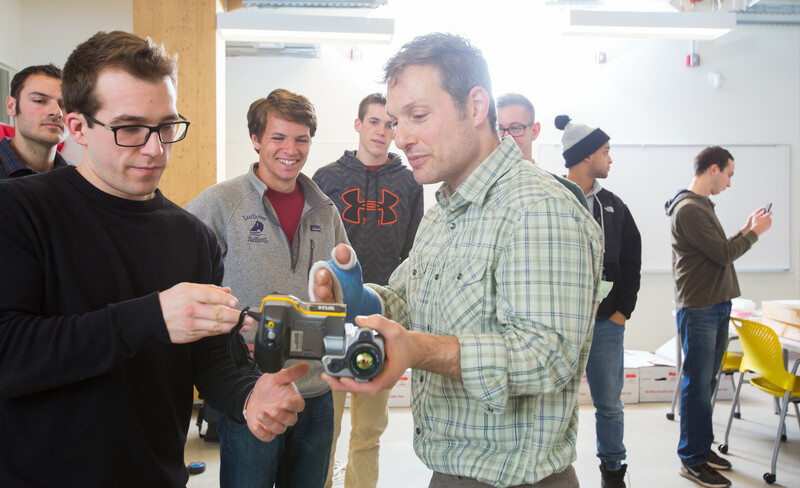 Professor Ben Weil rolled out a new spring course called “Special Topics - Clean Energy Corps.” It has attracted an interdisciplinary mix of students from environmental studies, building construction technology, sustainability science, and engineering. 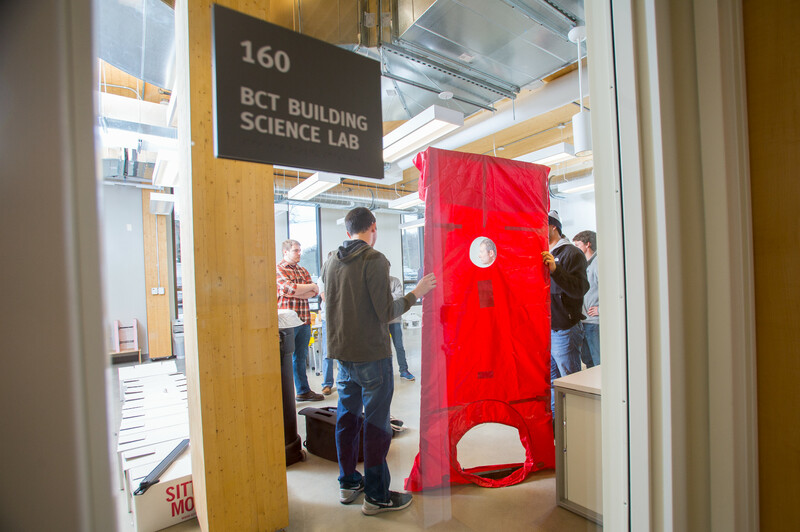 The three-credit service-learning class will train students to provide advanced energy audits and analysis as they learn the fundamentals of energy management and energy efficiency. Their final project will be to generate consultant reports to cities and towns. Such practical experience is often requested by students (and their parents) to help with their transition from college to employment. What do Cambridge, Arlington, Natick, Palmer, Sutton, Springfield, and Belchertown have in common? They are all Green Communities that have succeeded in meeting their 20% energy reduction goals. CEE Staffer Lauren Mattison has created case studies for the seven so others can learn from their experiences. Palmer, a rural western Massachusetts town, has reduced annual energy consumption by 62% in its Town Hall with an annual energy cost savings of $55,000. Linda Leduc, Palmer’s Town Planner and Economic Development Director said: “saving energy in town facilities is being fiscally responsible to our residents.” Encouraged by their success with weatherization, boiler upgrades and overall energy improvements, the Town is now exploring the possibility of obtaining an electric vehicle. 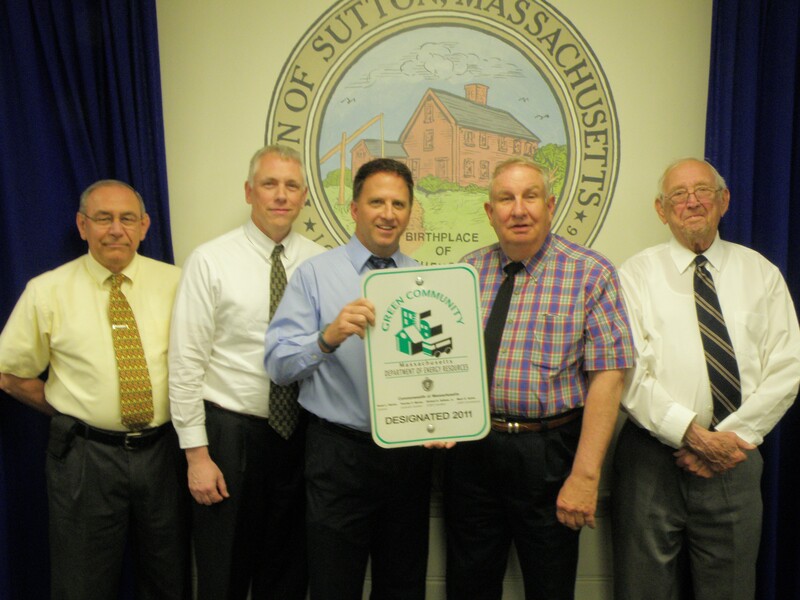 Greenfield was one of the first towns to be designated as a Green Community in 2010. As a result of implementing recommended energy upgrades and installing a solar farm, they have netted $2,000,000 in energy costs over six years and recently surpassed their 20% reduction goal by hitting 22%. Weil says, “This is a good example of collaboration between a municipal sustainability director, Carole Collins, and UMass Extension." Real changes have brought these towns real savings. To date, 155 of the 351 communities in the Commonwealth have applied for and been designated as Green Communities. That there are not yet more testifies to the fact that the state sets high bars for communities. They must make meaningful commitments on energy reduction, building codes, zoning and transportation to qualify for the program. There are times, though, that towns are interested but lack the time and/or expertise to submit an application. Other communities may still be looking for a passionate energy champion to move them forward. In some cases, towns and cities may have begun, but then have trouble meeting goals. Given many demands on town governments, particularly small municipalities, it can feel daunting. This is the perfect intersection for University of Massachusetts Amherst and the extension model to step in and play a meaningful role. To find out how your community could become a designated Green Community and qualify for grants, consult the DOER Green Communities Program website. You can learn more about how your community or business can work with UMass Clean Energy Extension at their website. 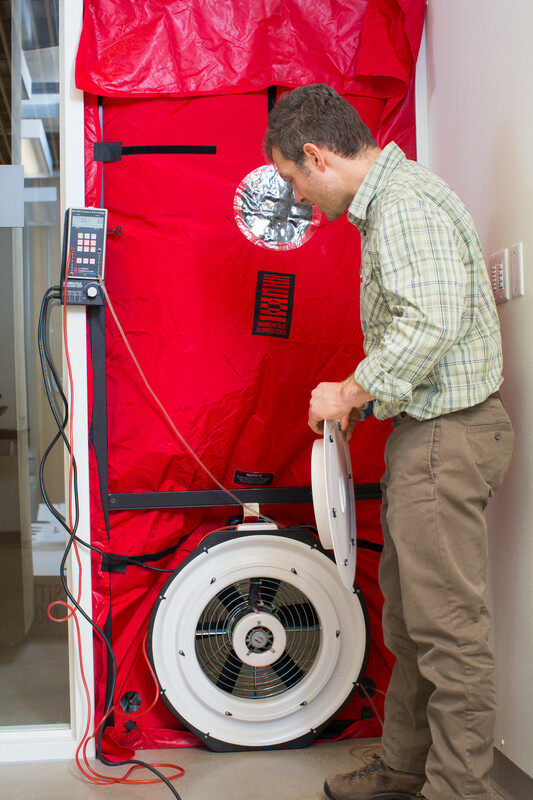 Interested in saving energy through efficiency in your home? Go to MassSave for assistance tailored to your needs.